This year in La Liga has seen a surprise among the top six, Real Sociedad. The Basque based club is managed by Frenchman Philippe Montainer, who is currently in his second full season at the helm of the club, and has really revitalized the squad after a few low years. Real Sociedad are currently sitting in fourth place in La Liga leveled on points with Valencia but have a goal advantage of plus seven, and on the verge of European competition, something have not tasted since they finished two points behind Real Madrid back in 2002-03, when the squad featured the likes of Xabi Alonso. This season, the likes of Xabi Prieto, Alberto de la Bella, David Zurutuza, Imanol Agirretxe, Antoine Griezmann, and of course goalkeeper Claudio Bravo. Real Sociedad was formed in 1909 by students and workers returning from Great Britain. In 1909 they competed in the Copa del Rey under the name of Club Ciclista de San Sebastian and they defeated Club Español de Madrid 3-1. However, due to permit issues, the Sociedad de Futbol and was officially formed on September 7th, 1909. Just like their Basque rivals, Athletic Bilbao, for many years they had a strict policy of only signing, Basque born players, until 1989, when Irishman John Aldridge from Liverpool, and the following year they signed English league striker Dalian Atkinson of Sheffield Wednesday. However, to this day, most of the players in their squad are in fact from Spain but they do acquire players from abroad if need be, for cheap though. The 1980s saw great success to this Basque based club when they won their first ever Primera División title at the turn of the decade, which also denied Real Madrid their fourth consecutive title. Sociedad were also able to compete in next season’s European Cup for the first time in their history, under manager Alberto Ormaetxea. Unfortunately, they lost in the first round of the competition to CSKA Sofia of Bulgaria 1-0 over the course of two legs. The blue and white stripes retained their title the next season by holding off FC Barcelona for their second ever Primera División title. The 1982-83 Cup season but in Spain and in Europe was pretty magnificent, to say the least. This year saw them reach the European Cup semi-finals after defeating Vikingur of Iceland, Celtic FC, and Sporting Lisbon before losing to the eventual champions Hamburg SV 3-2 on aggregate. Real Sociedad did particularly well in the Copa del Rey that year as well. In the quarter-final of the Copa del Rey, they defeated Real Mallorca 10-1, a record for the most goals in the cup at that time. They went on to win their only Copa del Rey by defeating Atletico Madrid 4-2 on penalties after drawing 2-2 in normal time. The next season, the Basque club reached the finals yet again, however, they lost to FC Barcelona 1-0. For Real Sociedad, the 90s were pretty average for the club, not doing anything really special in the domestic league and cups. And after three consecutive seasons of finishing in 13th place, which I think is a pretty remarkable feat all in its self. However, at almost the turn of the century, 2002-03, to be exact, they finished second in the league, their highest finish since 1988. At the end of the season, Real Sociedad took home all of the awards. Xabi Alonso was awarded the best Spanish born player in the league, Nihat Kaveci was voted the best foreign born player in La Liga, while their manager, Denoueix. The current season has seen a bit of an up and down roller coaster for the blue and whites. They started off the season like how they should have by dropping points and gaining all three points. 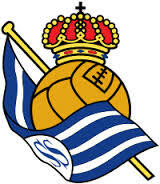 On November 10, Real Sociedad defeated Malaga 2-1, a match in which they were supposed to lose handedly. Carlos Vela scored inside the first minute of the match setting the tone early and often, pressuring Malaga whenever they got on the ball, giving them little room to do some offense. Javier Saviola equalized for Malaga just 8 minutes before half time giving the home side some hope at salvaging the match after a disastrous start. However, Xabi Prieto silenced the home crowd right before the hour mark off of a deflected shot originally from Ruben Prado. After this match, Real Sociedad went on a streak of seven straight matches where they gained at least a point in it, including a very impressive 5-2 victory against a strong Valencia side. Another outstanding performance from the blue and white stripes is when they defeated a ten men Barcelona side, 3-2, when Imanol Agirretxe scored a late game winner at the death. Lionel Messi got the goal scoring started before the tenth minute of the match. He received a beautiful pass from Andreas Iniesta, continued to cut back in from the left slot and shot it low and hard passed a diving Claudio Bravo. Pedro would double the lead for Barcelona in the 25th minute when the Spanish international scored after his earlier curling effort hit the post upon the first quarter hour of play. Carlos Puyol was sent off for a trip on Vela after receiving his first yellow card in the first half for not moving back 10 yards from the ball on a free kick, which is a ridiculous card to pick up. It would be all Sociedad after that. Gonzalo Castro got his second goal of the match and brought the match back to level pecking with his strike deflected off of Mascherano and into the net. Agirretxe scored the winner late in the match after poked it in past a hopeless Valdes. Xabi Prieto, Antoine Griezmann, Carlos Vela, and Alberto de la Bella have been this season’s most outstanding players for Real Sociedad. Xabi Prieto joined Real Sociedad as a young kid back in 1997 and has steadily worked his way up through the youth system as well as playing for their ‘B’ team. He has been playing for the first team since 2003 and has made over 300 appearances in his career for the homegrown midfielder. Carlos Vela, Mexican international, was loaned out by Arsenal in the 2011-12 season to the Basque club and made 32 total appearances, scoring 12 times. He joined Real Sociedad on a permanent basis this summer signing in July. There has been some speculation that he could return to Arsenal in the near future, but nothing has been confirmed by either club or the player. The young Frenchman, Antoine Griezmann, has been one of the most surprising players, in my opinion, this summer in La Liga. He joined Real Madrid at the age of 14 back in 2005, but the integration was slow due to his schooling in France. He moved up to the first team squad in 2009 and has so far made over 150 matches already in his young career. Griezmann is only 22 years old and Real have a history of keeping players there for a long time. Another impressive player, in my opinion this season has been right back Alberto de la Bella, who also joined the first team back in 2009 has been a very integral part of the back four from the get go. Real Sociedad looks like it will be very bright. They are currently battling for fourth place and the chance to play some European football for next season which will generate some income for them to bring in more players of high quality and bring them back to the glory days of the late 80s.